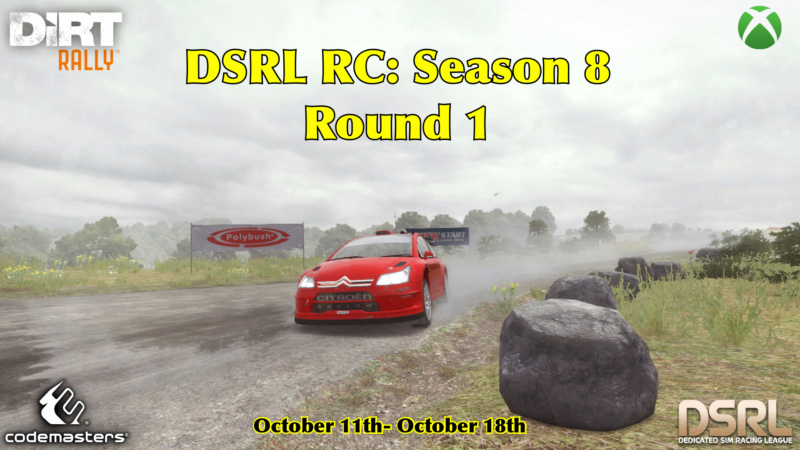 Round 1 of Season 8 is here! Good luck to all drivers competing in the opening round in Germany! Feel free to discuss your rally here & post any pictures, videos, gameclips, stream links, summaries etc. from the opening round in this thread. I'm not a huge fan of Germany but I'm pretty pleased with my result. Didn't have any big issues apart from a sticky handbrake on a few stages and running over a few spectators toes. Without the time penalty I may have managed 11th place. 2 long stages in the dark wasn't ideal too. It's a very close call at the top of the time sheet too. That's crazy. I was having a solid battle with some of the back markers with my usual slow pace and few mistakes. Then I started the long stage 6 by puncturing my front right. I attempted to continue like this but after two trips into the fans and most of the stage left I gave up the 1-1/2 minutes repair the wheel. It's nice to be back in a 4WD car and the Citroen sounds great. On to the next one. My rally went ok, kept it mostly clean but stupidly I didn't prep the gear ratios before starting so I was adjusting them on the fly at each service. Lost quite a bit of time to the front pack in 5 stages redlining 6th but eventually found more pace after changing final drive more to top speed at the last service (not enough though) . Still couldn't match the rapid French front runners but happy with the better pace after the gear change. Looking forward to getting onto the gravel stages in Wales next! Citroen is very floaty but fun to drive when it gets going. Round 1 is now complete! Standings will be updated and posted here ASAP. Next up is round 2, Rally Wales! my rally is not too bad, I really try to ride because the rallies on earth do not like me congratulations to all!